Good news if you need to buy anything from Canadian Tire. Shop this Friday, December 1st and get a $20 promo gift card when you spend $100 or more. There is a limit of one promo card per customer, per transaction and you can use it on almost anything in the store from December 2nd to 11th. Plus save up to 50% on their selected toys of the week. 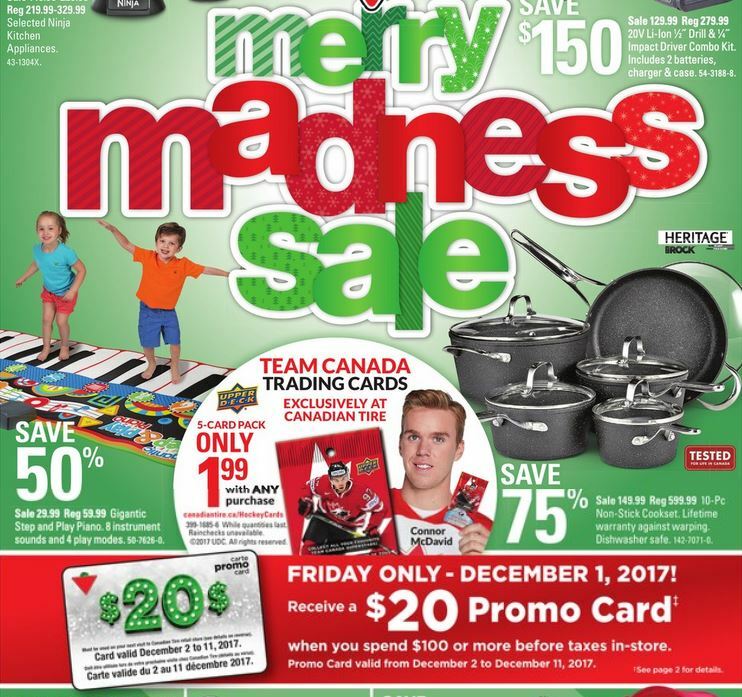 The Canadian Tire flyer should be available shortly here, in the mean time, check out the Quebec one for similar deals. Major price differences tend to be in bathroom tissue and items with special taxes.